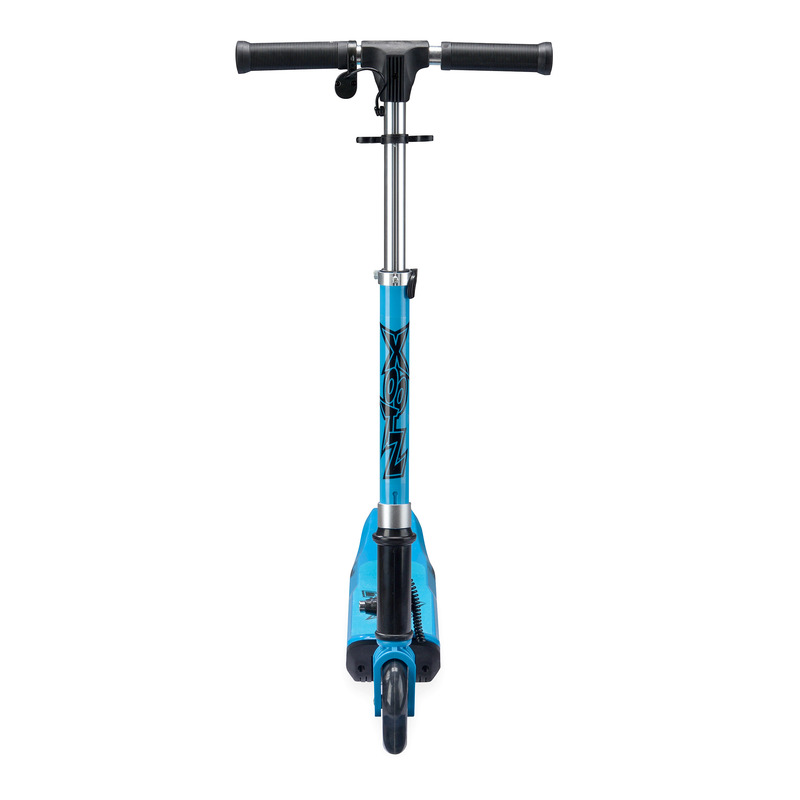 Reach speeds of 8km/h with the Xootz Element Electric Scooter in Blue, providing high-speed thills and excitement for active children aged 6 years and over! 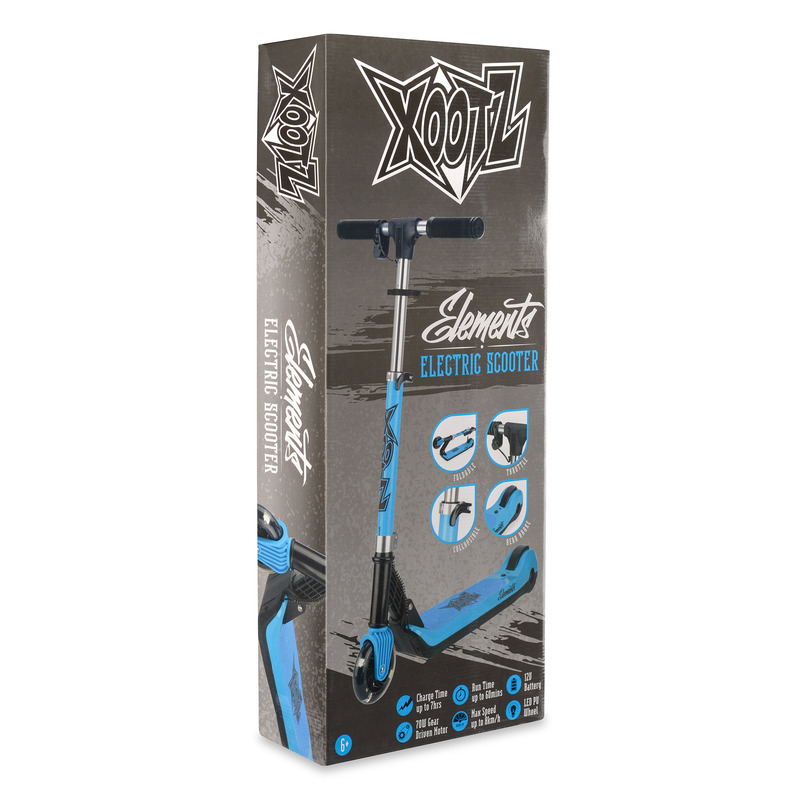 The Xootz Element Electric Scooter is capable of reaching speeds of 8km/h, so will provide hours of high-speed thrills for active children. 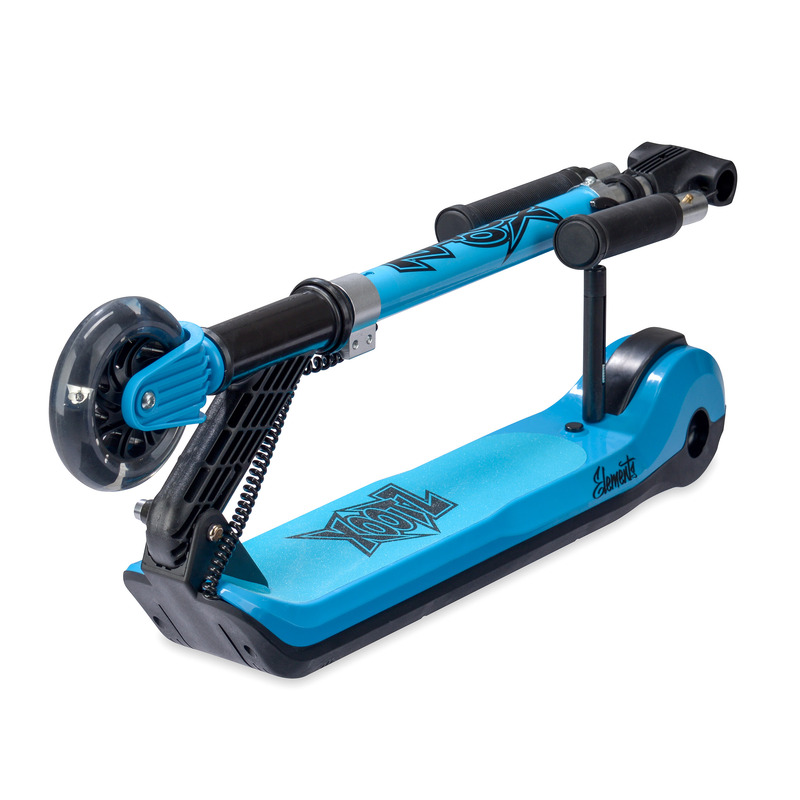 It features an easy-to-use thumb throttle on cushioned handlebars, so kids can dart around obstacles at the local park! 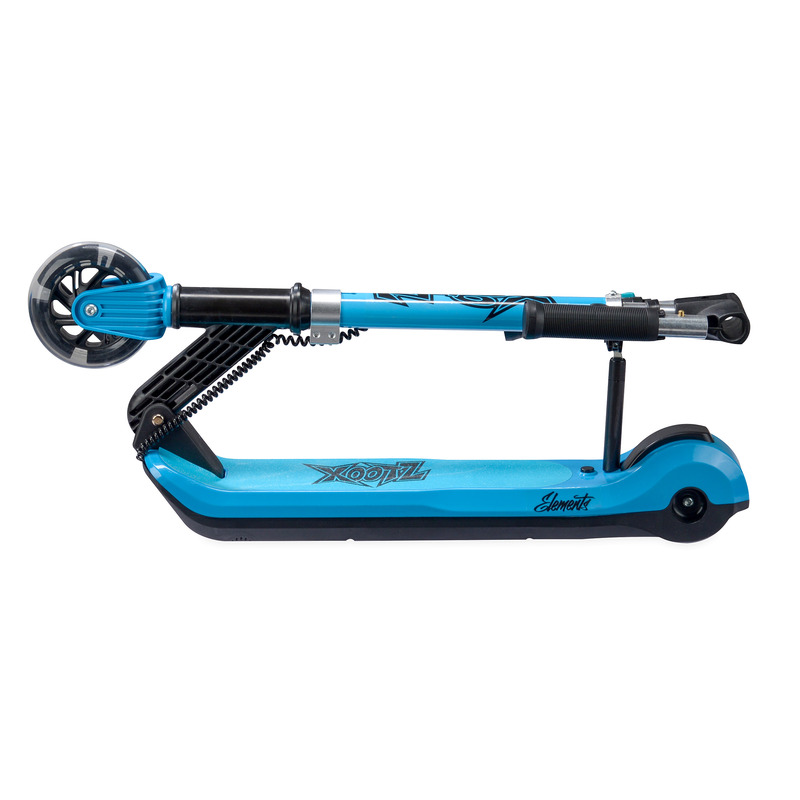 A high-capacity 12V rechargeable battery powers the 70W belt-driven motor, however, it offers 8km of fun on a single charge (weight and terrain dependent). 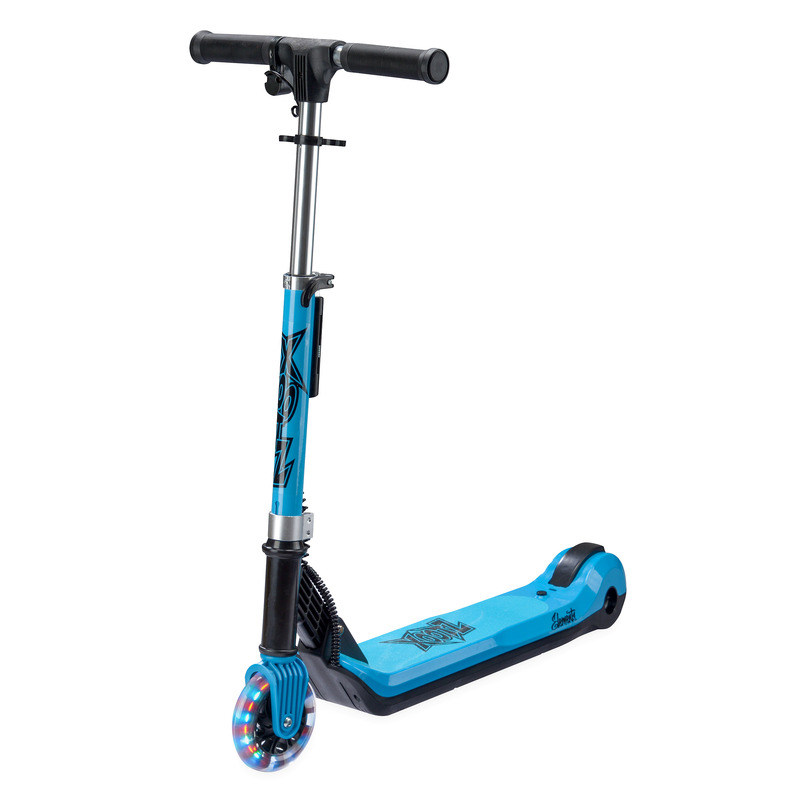 Neatly integrated into the deck of the scooter, it keeps the centre of gravity low, offering an even more stable and controllable ride. 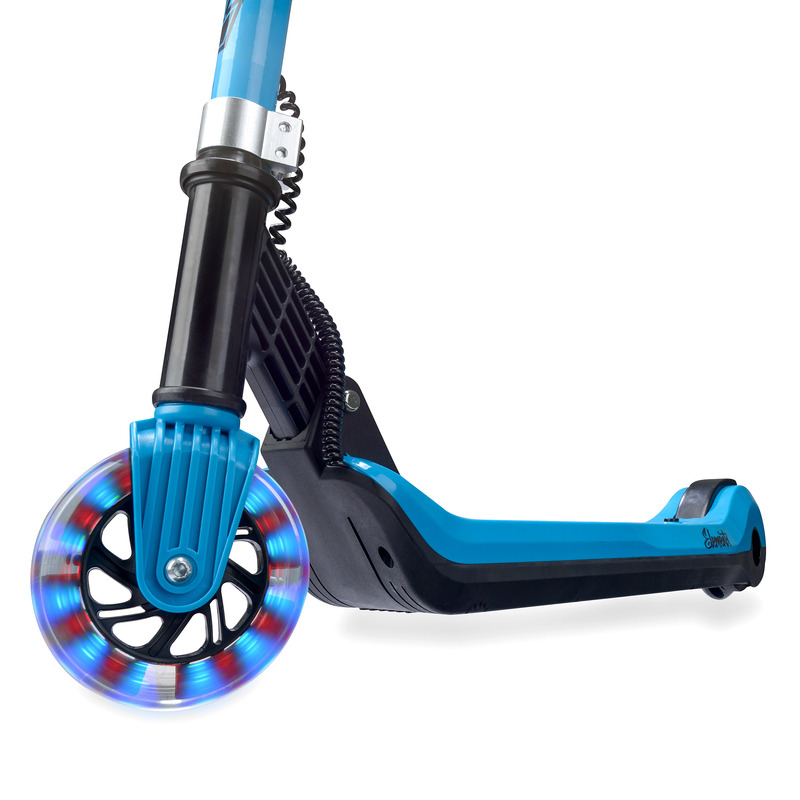 With the Element, every journey along the pavement or around the park is super smooth thanks to its PU wheels. 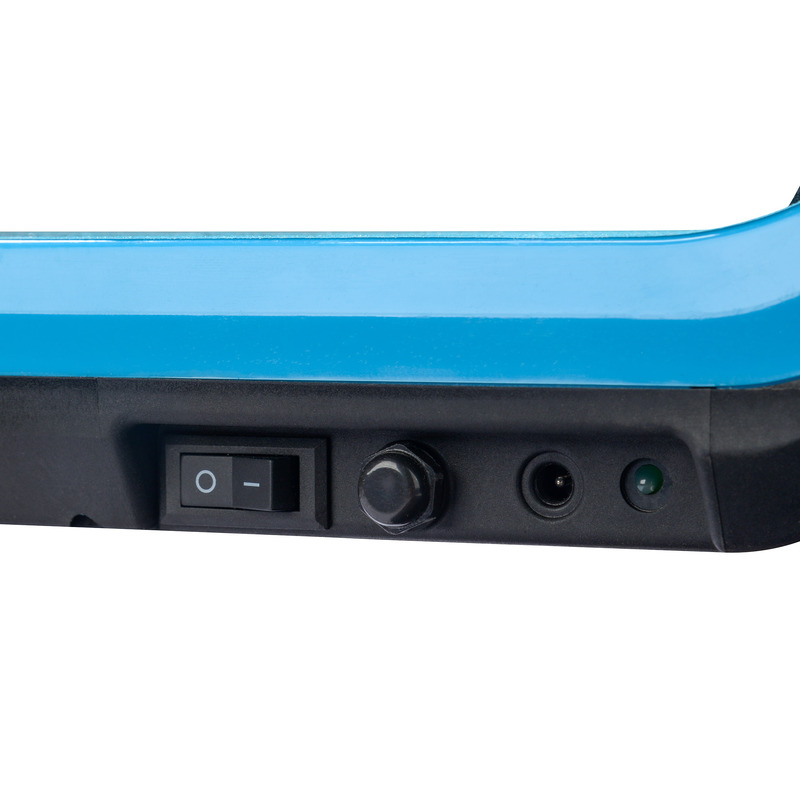 Running out of battery doesn’t mean an end to the fun either, because this innovative e-scooter can even be used as a traditional push scooter. 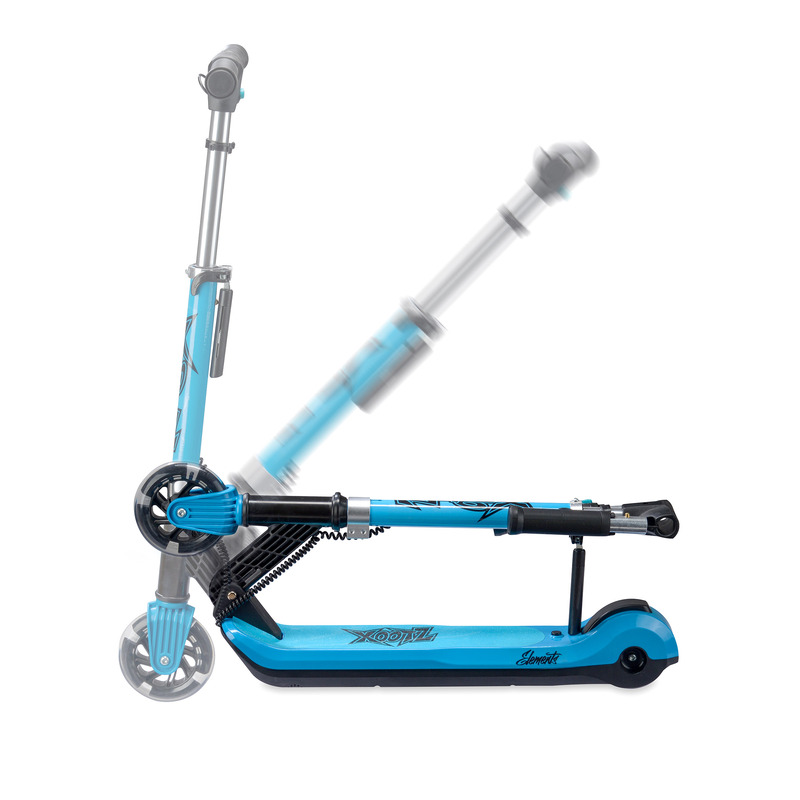 The built-in foot brake provides more than enough stopping power for a controlled and safe ride. 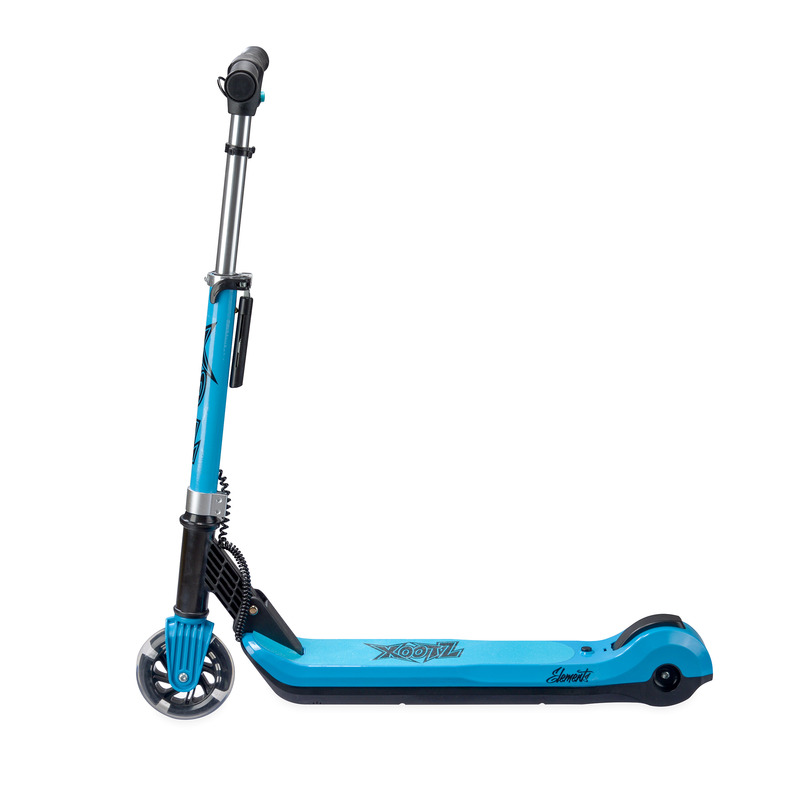 Collapsible bars make this compact and lightweight scooter easy to store and transport! Ideal for your next family day out or holiday. 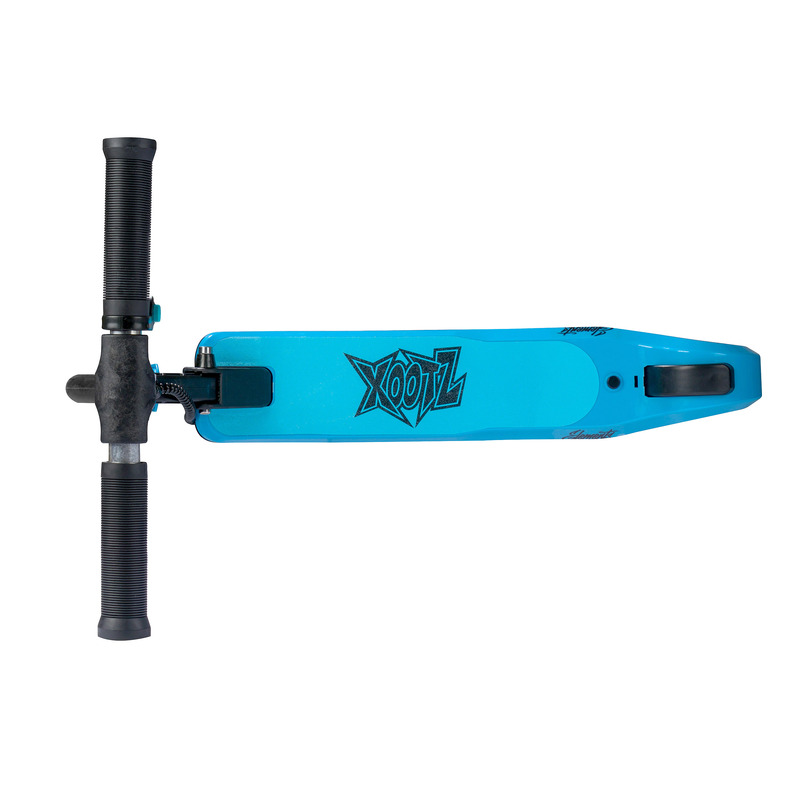 The sets comes complete with wristguards, elbow pads and knee pads - grab a helmet and go! Bring dinosaurs to life in your room! 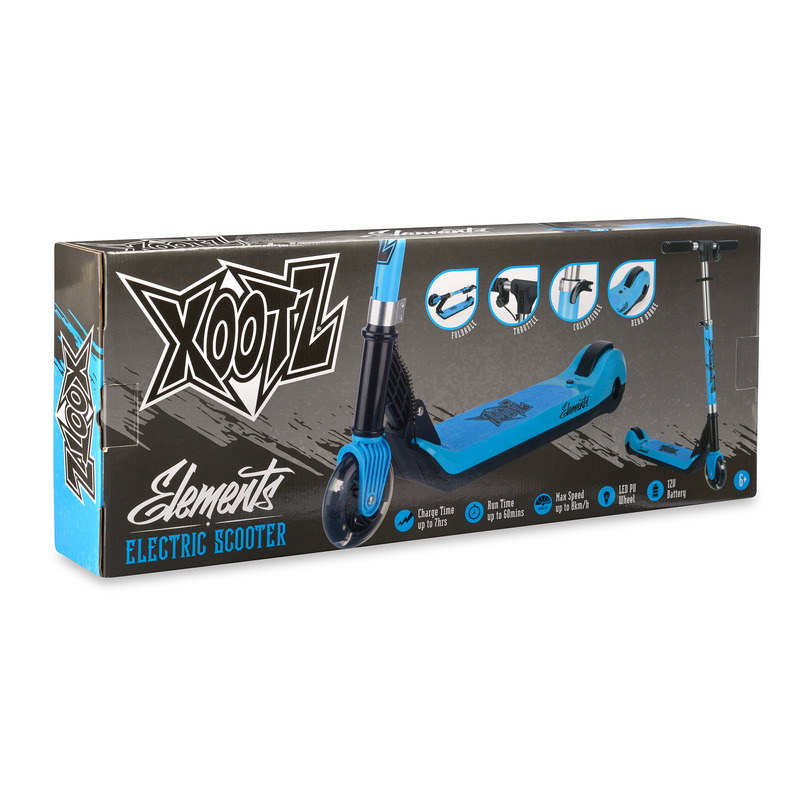 Reach speeds of 8km/h with the Xootz Element Electric Scooter in Green, providing high-speed thills and excitement for active children aged 6 years and over!